Prada is a brand that even non-fashionable men are well aware of and follow from time to time. This time around Prada brought back the once hit collars back on-ramp, the popped up collars. 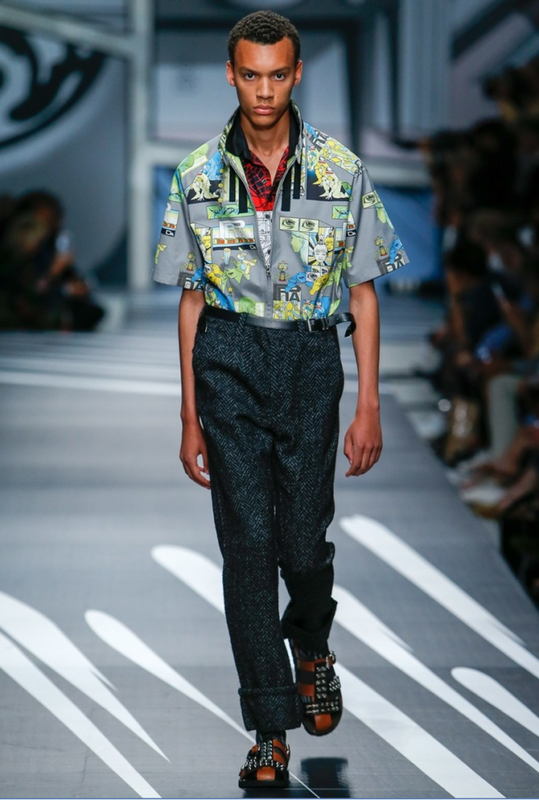 Let’s look at a few pieces by Prada on-ramp, to decide whether it’s a yay or nay for you. 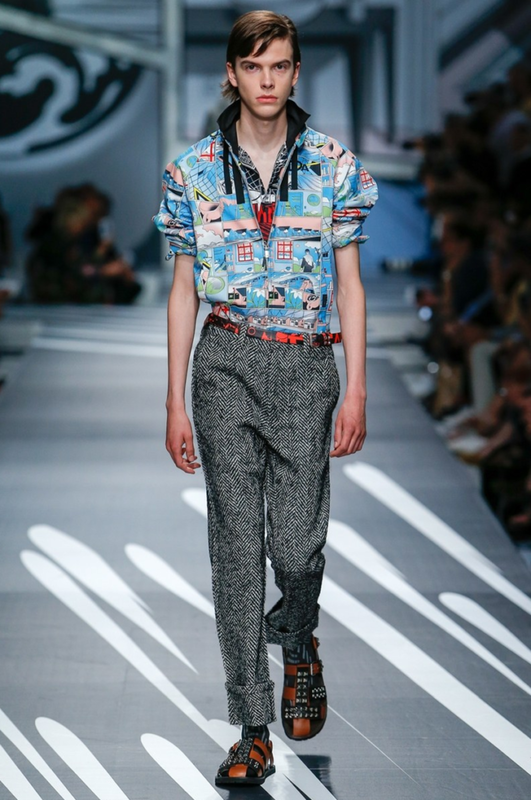 Look at this vibrant ensemble by Prada, following the same popping out the theme of bright colors and layered collars. 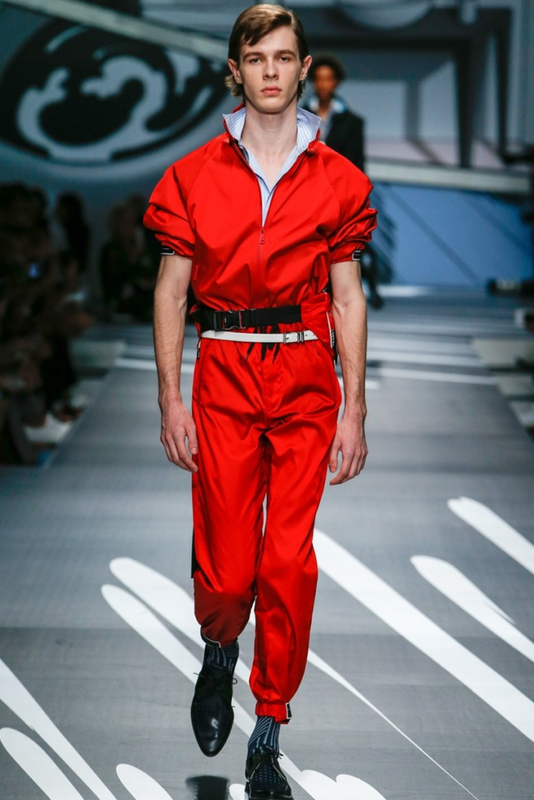 Prada’s spring/summer collection 2028 had mostly been about bringing back 2000s trends, including jumpsuits. 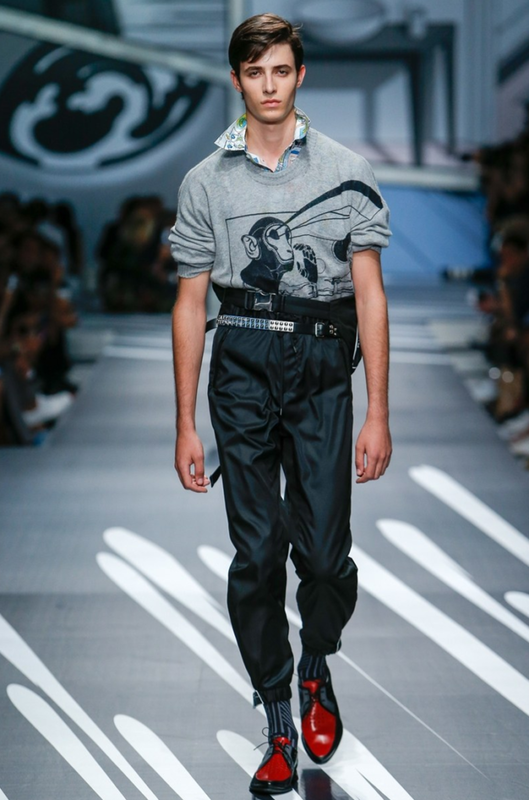 Prada’s spring-summer collection showcased at Milan Fashion Week 2017-2018, was, however, a breeze of fresh air because it blended millennials with generation Z. The best part about this collection is how the designer incorporated double layered shirts with popped up collars. This ensemble particularly is the perfect blend of contemporary with conventional- straight pants with striking red belt, all the little details are perfectly catered to. Not to mention, socks with sandals. Yes, hopefully, this initiative by Prada will ward off the stigma attached to popped up collars and bring back the cool trend of awesomeness.